seen, this mom and pop establishment has been serving up the best pizza in Orange County for more than 35 years. Rosa's Pizza offers its customers a fun and relaxing dining experience. Our laid back ambience is perfect for casual family dinners or birthday parties for the kids. spaghetti and meatballs. View our full menu to see all that we have to offer. 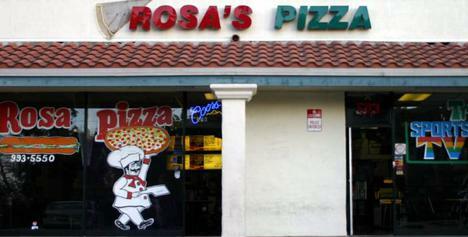 Visit us and see for yourself why Rosa's Pizza has been the go-to pizzeria in town.